Have you just owned an Android? It’s absolutely amazing, ain’t it? Yet, it does have limitations. But here’s some good news, Android being based on Linux can have its limitations removed by the process called “Rooting”. Users like me, who root their phone on the very moment it arrives, are always keen to go custom as fast as possible. 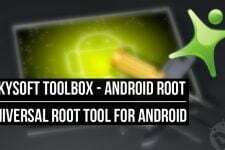 There are several methods out their to root an Android device which includes rooting via flashing the Superuser binaries, pushing them via adb/fastboot using command-line or terminal and foremost the easiest process by using a toolkit. Although most of the devices have their specific toolkits to perform this action, but certainly are limited to the same device and requires access to a PC. And so here, Framaroot steps in which brings an all-in-one root tool for rooting quite a list of devices by just one-click through your device itself, without the use of any PC. 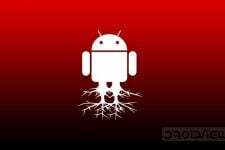 Framaroot is a simple Android Rooting application developed by alephzain, which installs as a normal apk file and pushes the superuser and su binaries to your device, hence rooting it. The application is already compatible with with a list of devices from various manufacturers and is capable to root an Android device running version 2.x to 4.x. The list is still expanding as users seem to be keen enough to try this on their devices. Below is the list of device which are confirmed to be working with Framaroot. The list is specified for different chipsets and their corresponding rooting exploits. It is expanding every day, so if you have your device mentioned just hit the download, install and root your device with just one-click. If not, you are advised to wait. NOTE: If your device isn’t listed, you might install and try it only if you’re a developer or a user with sufficient knowledge to recover your device. If it does work, report it on the developer thread at XDA-Developer’s forum. Rooting voids your warranty, perform all actions at your will. Droidviews or the developer shall not be held responsible for any damage to your device. Connect your device to the PC in USB Mass Storage mode or MTP. Using a file manager/explorer, navigate to the apk location and install it. Go to your device’s app drawer and press on “Framaroot” to execute it. Now, select the action to perform. Select “Superuser” or “SuperSU” upon your choice. Select the exploit and the process will begin. To unroot, follow the same procedure but select “unroot” while performing tep #7 and skip further. It will automatically unroot your device. Follow up to the Original Thread at XDA-Developers to interact with the developer and other Framaroot users. If you have discovered your device to be supported by this and yet not mentioned in the list, kindly list up your device name, model and Android version. Enjoy your rooted Android and explore more possibilities! FramaRoot Didn’t Work for You? Try KingoApp One-Click Root Tool Now! Hi all, I am new to rooting stuffs. I had purchased a new micromax canvas2 A120 color. I tried framaroot but it did.not work. Please help. That are awesome. But imean without pc like framaroot? You got it? By the way. Thanks for that link. Its helpful. Will this work om samsung galaxy tab 2 7.0? Sorry I forgot to include that. It’s the at&t I337 model. Baseband version is UCUEMK2. EmmanuelLopez1 Which model of S4 do you have? I have the S4 on 4.3. Should I try it? Or should I wait? I was able to do this before on the Nexus 4 running 4.3 but now I just can’t with 4.4 any suggestions? Does it work on sony xperia e dual c1604? does it work on s3 I9300 jelly bean 4.3 ? Thnaks but you considered that method to be risky and it might bricked my phone? Hey will it work on galaxy s 2 i9100t? Plz reply as soon as possible. Yes, it should. Not tested. There is no risk in trying. Hello. Will this work on Samsung Galaxy Tab3 SM-T210? Not tested, but you can try. Not risking it until somebody else does it successfully. I dont know how to restore my tab and might end up bricking it. Don’t worry, it won’t brick your tab. It will either work or you’ll get error message. That’s it! Ouch, it only showed the Aragorn option and was not successful. Any suggestions? Download the latest 1.6.1 version. i have a Huawei U8850….when i run this app in my phone it displays GANDALF EXPLOIT only and when i tap the GANDALF EXPLOIT it displays (Error #5). i’ve attached screenshots…please tell me how to root my phone ?? Does it works in the samsung galaxy s2 skyrocket I727? I use samsung galaxy win. I’ve tried using version 1.6.1 and it didn’t work. with my mobile, what is the most appropriate? what do i used for a samsung galaxy express i437? Has anyone tried this on a Galaxy Tab 2 P113? Nevermind, I selected Aragorn and it restarted. Now, how do I tell if it was rooted? It just started up normally. Lol. Thanks for the Quick Reply, appreciate it. 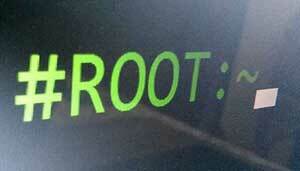 It’s rooted. I was a bit nervous since this is my first time lol. Does that mean I can install the infamous cyanogen mod? Lol. No, rooting is not enough for installing ROM, it’s rather a license. LOL. To install a custom ROM, you will also have to install a custom recovery. 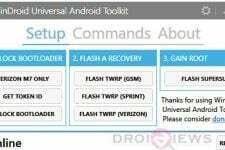 Download the Goo Manager app and install TWRP recovery using it, and then you’ll be able to install any ROM. Crap, this might take me a while to understand. Lol. But I’ll definitely study this. What about updating to the latest Firmware like 4.3? Should I need a Rom for that as well? Definitely would love to try this out! What kind of bugs can I expect from this. Favorite descriptions that I’m seeing is the Speed and Smoothness. I’m a sucker for those qualities. Do not forget to backup your current ROM in TWRP and then proceed. If you feel any issue, you can restore the old ROM back. Therefore, there is no need to be nervous (I know it’s natural for a new user). I’ll always be here to for any assistance. I have a Sprint Galaxy Note 2 and it says select an Exploit? Which do I choose? Aragorn? What other exploits can you see? Use already it work for lenovo ideatab A3000-H ! what exploit did ypu choose? tnx. News about SSung Expres I8830 G4? Does this work for the Sprint Note 2 running 4 1.2? Since it works on Verizon and T-Mobile Note 2, it should work on the Sprint variant too. I just tried it a few minutes ago and it worked. Thanks. Will this work on my Samsung Galaxy Express I437 running 4.1.2? Chem the device list. Is it is there, it should work. Does it work on the AT&T Galaxy Express? I tried it and both exploits that are listed say they have failed. Your device is listed because users reported that root is working. Note that framaroot is not a permanent rooting application and it might fail to to its job if you have device with a firmware that has been patched the exploit the tool works on. Is there any way to root galaxy grand duos? it freeze and force close..
Grand is not in the list of supported devices. Hi, it has not been tested on T-Mobile S4 in my knowledge, but you can try it. It’s just a simple apk files that works on most devices. Testes on GT-I9500 and I9505 (Qualcomm chip like yours).